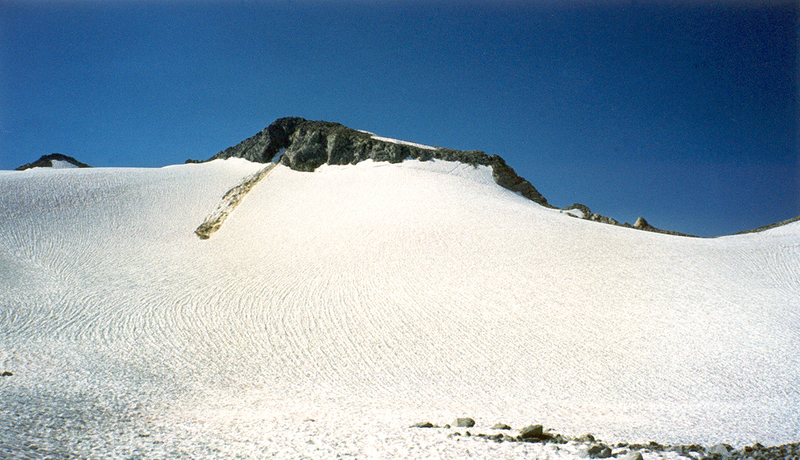 Mt Lyell with permanent snowfield. Photo by Reiner Stenzel. 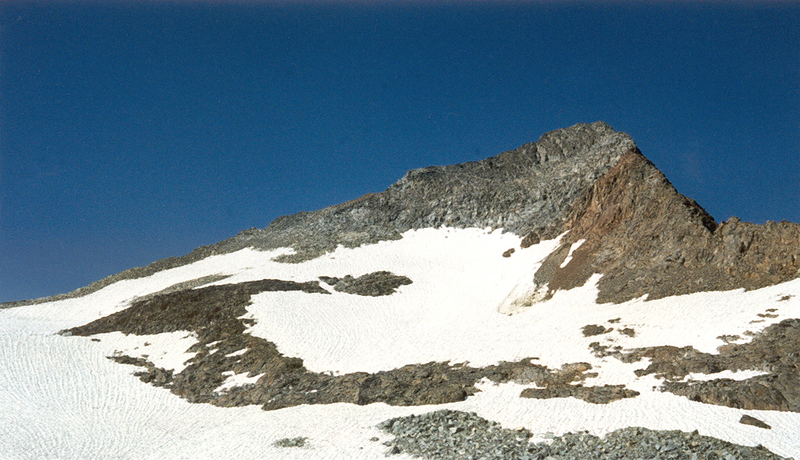 Mt Maclure next to Lyell. Climbed it on a side trip fom the JMT. Photo by Reiner Stenzel.